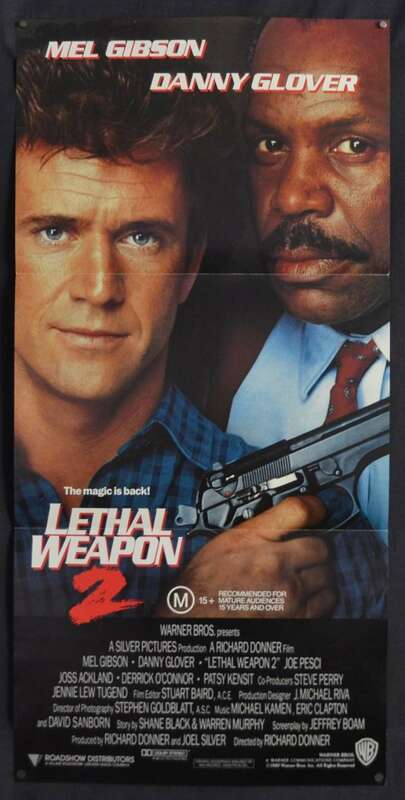 Lethal Weapon 2 is a 1989 American buddy cop action film directed by Richard Donner, and starring Mel Gibson, Danny Glover, Joe Pesci , Patsy Kensit, Derrick O'Connor and Joss Ackland. 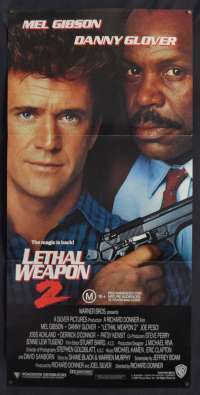 It is a sequel to the 1987 film Lethal Weapon and second installment in the Lethal Weapon series. The film was nominated for an Academy Award for Best Sound Editing (Robert G. Henderson). 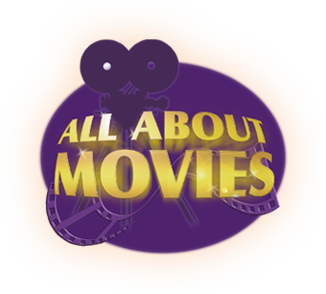 The film received mostly positive reviews and earned more than $227 million worldwide. Mel Gibson, Danny Glover, and Richard Donner have all stated that Lethal Weapon 2 is their favourite film of the Lethal Weapon series. Poster Size: 13" x 27"
Comments: Cool image of Gibson and Glover, poster presents nicely.